Want to know where to buy glass beads for weighted blankets or sensory lap pads? In this guide we’ll take a look at the best places I’ve found to buy glass beads. We’ll also look at some common questions regarding the use of micro glass bead fillings for making weighted blankets and sensory products. In a rush? Try Roly Poly or Pinwheel micro glass beads. 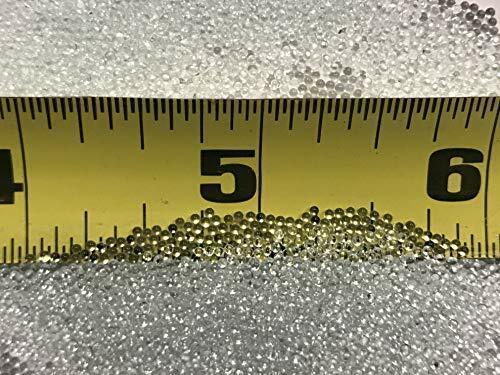 What Size Weighted Glass Beads Do I Need? 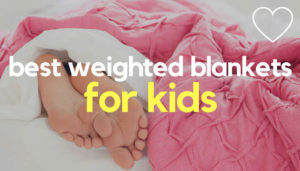 The glass beads used in weighted blankets are much smaller than the more commonly used plastic poly pellets – in fact, they’re tiny and bear more resemblance to sand or sugar grains than actual ‘beads’. So look to buy glass beads that are at least .75 – 1mm in size (sometimes labelled as #3), or they may pass through some fabrics or shift between the weighted blanket pockets. I’ve seen some people using larger glass beads, but keep in mind, the larger bead you use, the lumpier the blanket will get. There is also a risk of chipping with larger glass beads, which could lead to sharp edges. 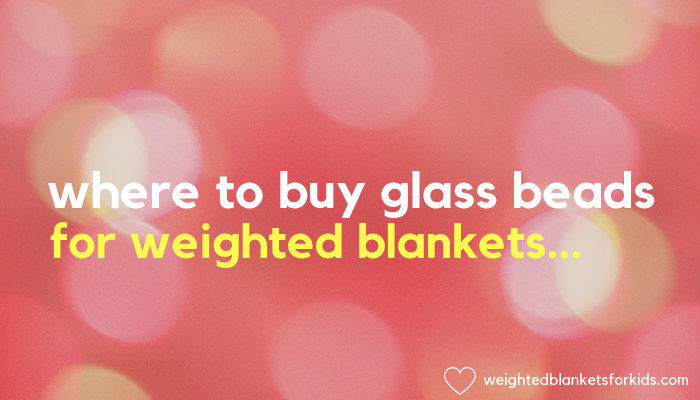 Whilst it’s totally possible to buy glass beads for weighted blankets, the options are quite limited and stocks do seem to vary. So you might have to dig around a bit to get the best deal or right weight for your needs. What’s nice about the the Roly Poly glass beads it’s that they’re sold specifically for filling and stuffing weighted blankets and comforters, sensory products such as weighted lap pads or vests or other crafts and sewing projects requiring beads. High quality, the beads are virgin glass (i.e. not recycled) and consistently shaped with round, smooth edges. Some glass beads, with rougher edges, may tear material or not move around as smoothly inside blankets. Poly Poly glass beads are also helpfully available in a range of weights – usually 10, 25 and 50lb. 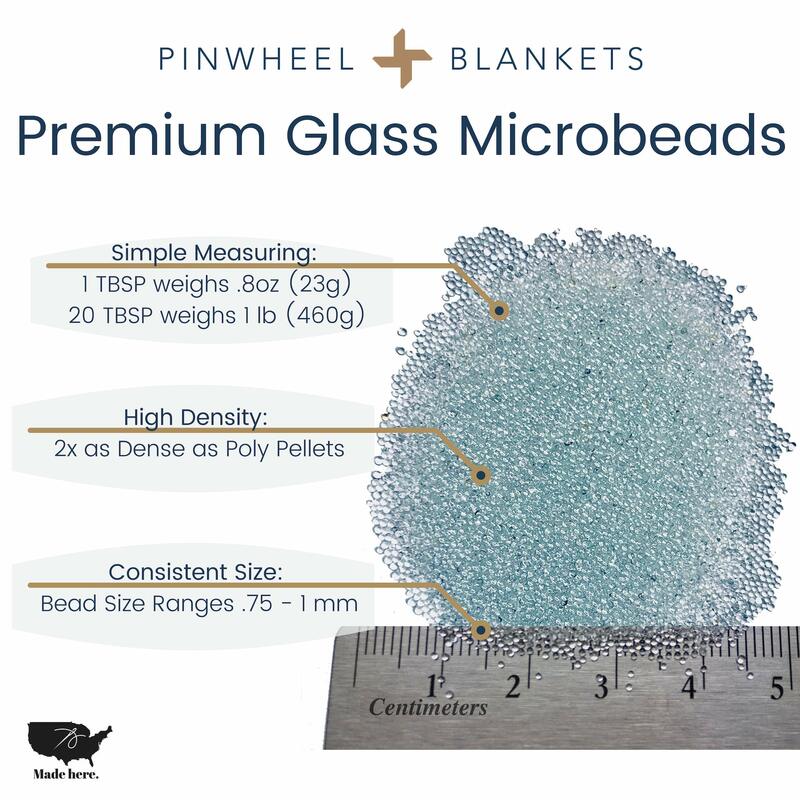 Like the Poly Poly beads, Pinwheel micro glass beads are also designed specifically for use in craft projects, such as sensory weighted blankets and vests or weighted stuffed animals etc. The beads are easy to measure for your craft projects, with Pinwheel recommending 20 TBSP = 1 lbs. The smoothly designed rounded beads are also easy to sew without damaging your needle. Available in 10lb tubs. 25 and 40lb weight sizes also sometimes available. Namaste Handmade make weighted blankets and have an Etsy shop where they sell #3 glass beads suitable for filling DIY homemade weighted blankets. The shop gets consistently positive reviews and the bonus of this seller is that they ship in a variety of weights. Beads are shipped via USPS. 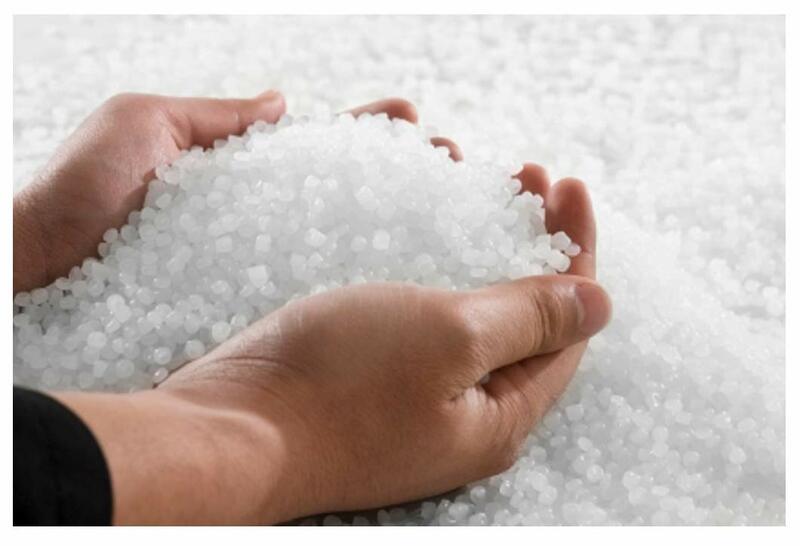 Why Use Glass Beads Over Plastic Poly Pellets? Plastic poly pellets are generally the most common filling for weighted blankets. They’re generally made from polypropylene. Whilst polypropylene is generally considered safe and non toxic, some people still prefer to avoid plastic. This can be for environmental reasons, or otherwise. Some highly sensitive people also find the sensory stimulation of plastic poly pellets is a bit too intense (although this is not generally an issue for most people). This is where micro glass bead fillings can offer a good alternative. 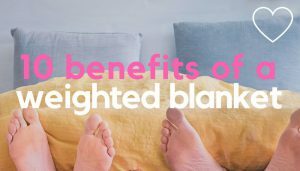 They avoid plastic altogether, plus highly sensitive people may find that a weighted blanket filled with glass beads lays more smoothly/softly on the body, than one filled with poly pellets. 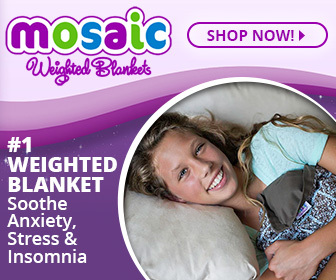 This means they sit more densely inside a weighted blanket. 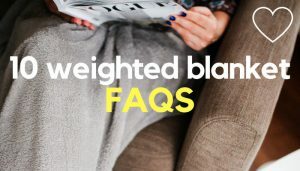 So although weight for weight, a blanket with glass beads or poly pellets will remain the same, the volume (the amount of space a substance or object occupies) is less in a blanket filled with glass beads. This essentially means a weighted blanket filled with denser micro glass beads will be thinner than a blanket filled with plastic poly pellets, which are larger and take up more space. There can occasionally be issues with using glass beads with certain fabrics, which have a weave that’s too loose to hold the micro glass bead fill. 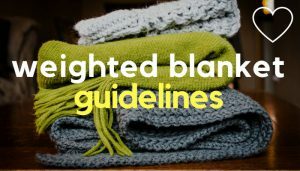 So if you plan to use glass beads in a homemade weighted blanket, it’s important to double check your fabric and stitch length to make sure that they’ll contain the beads securely. According to Namaste Handmade, ‘dot’ minky fabrics should be fine, but some of the specialty minky, such as ‘Sherpa’ or shaggy minkys are likely to have a weave that is too loose. 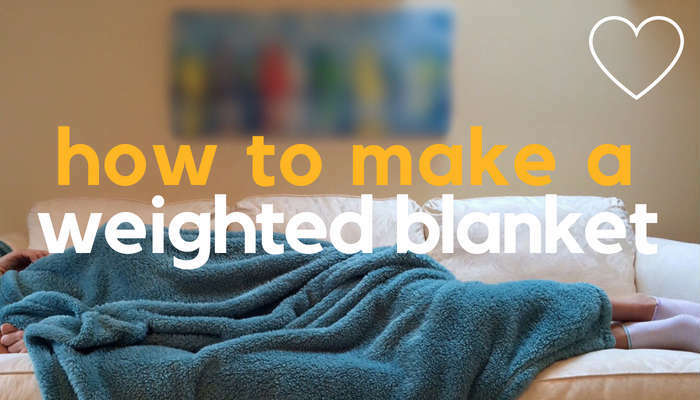 If you’re also looking for a tutorial that guides you through how to make a weighted blanket at home (with either micro glass bead filling or plastic poly pellets), here are some text and video tutorials to get you started. An alternative to glass beads for filling weighted blankets are plastic poly pellets. They’re the most traditional filling and also larger than glass beads, resembling tiny pebbles. They are lighter and harder than glass beads, so make for a slightly bulkier finish. If you decide to use plastic poly pellets, look for high quality (such as 100% virgin polypropylene) pellets (these are well rated). They tend to dry quicker than some of the cheaper pellets, which may retain moisture and lead to mold or bacteria build up. 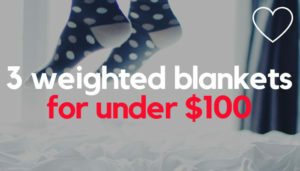 Not all poly pellets have a high temperature rating either, so if you plan to machine wash or tumble dry your blanket, check the poly pellet product details to make sure they are washable/suitable for dryers. Some people also use rice or barley as a filling, but keep in mind this will make your weight blanket, or lap pad, non-washable. 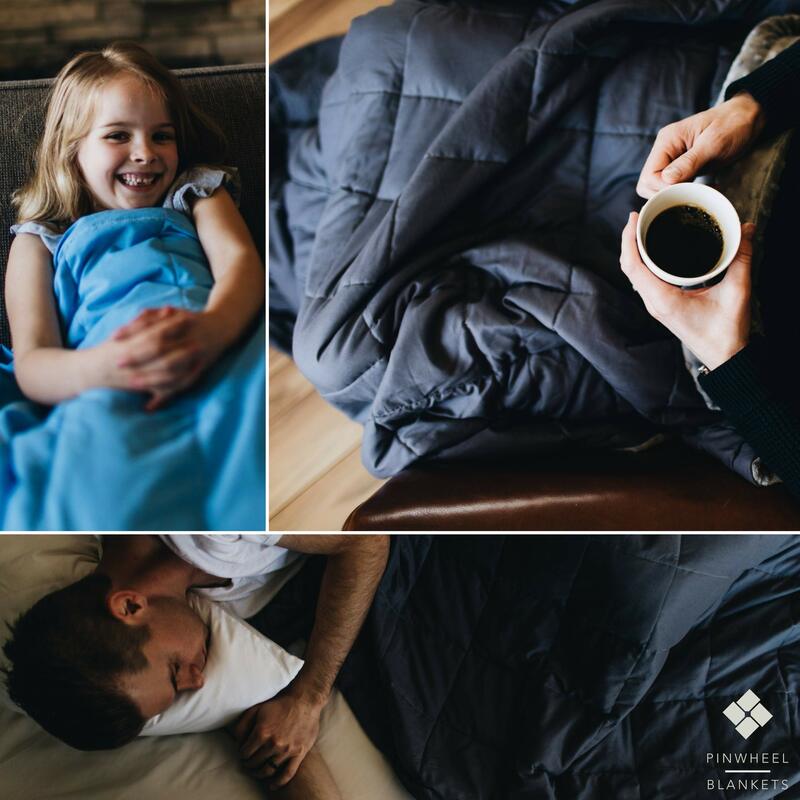 Glass micro beads offer an alternative to plastic poly pellets as a filling for weighted blankets. Glass beads are finer and denser than poly pellets and offer a alternative filling for highly sensitive people who find the sensory stimulation of the small pebble like poly pellets a bit too much. Glass beads, of course, also avoids using plastic. Places to buy glass beads for weighted blankets are somewhat limited, but you can usually find them online on places such as Amazon and Etsy.